Insider’s View: Energy insider, Dr. Kent Moors has extensively researched an even broader trend impacting the oil and energy markets. Learn more about this global shift here. Oil prices are up 14.5% year to date, with WTI crude oil around $61 a barrel today. But it hasn't been a straight rise for the price of oil in 2015. The big oil market story for the last several months has been one of supply and demand. Plentiful supply has pressured prices. "The pundits in the media have advanced a simple translation: The expected rebalancing of the crude oil market, in which supply and demand are equivalent and pricing changes are narrow, has not taken place because there remains too much supply on the market," Money Morning Global Energy Strategist Dr. Kent Moors wrote on June 24. They blame two culprits, said Moors: Organization of Petroleum Exporting Countries (OPEC) failing to cut production, and continued high U.S. shale oil production. But Moors knows that global oil demand is surging. That's why his oil price forecast for the rest of 2015 has seen prices climbing into the $70- to $80-per-barrel range. "The demand for oil is absorbing inventory much more quickly than anticipated," Moors told Money Morning readers on April 8. "Much of the demand surge is driven by pent-up needs from developing industrialization and economic diversification. Some is the result of changing energy trading patterns, and a fair amount is from the simple dynamic that markets use more energy as the price declines." And recent reports show oil inventories are down. The U.S. Energy Information Administration reported its official data today at 10:30 a.m. Crude inventory for the week ending June 19 declined 4.93 million barrels, versus the consensus for a draw of 1.68 million barrels. Cushing inventory declined 1.87 million barrels, versus an expected decline of 666,000 barrels. 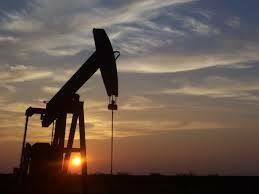 Last week, the American Petroleum Institute reported a larger than expected 3.2 million decline in U.S. inventories. The industry group's data also showed a 2 million barrel decline at Cushing, Okla., the key trading hub. Dr Kent Moors is brilliant and nearly always right. One would do well to listen to what he thinks.